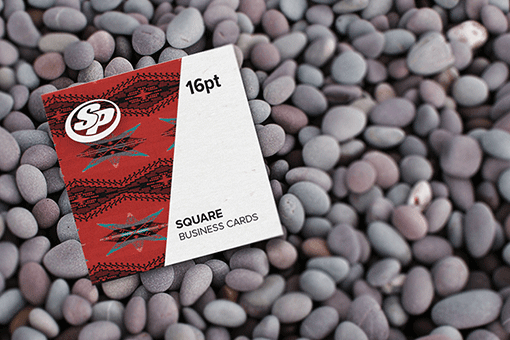 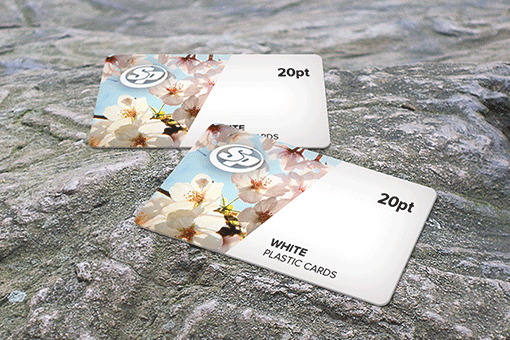 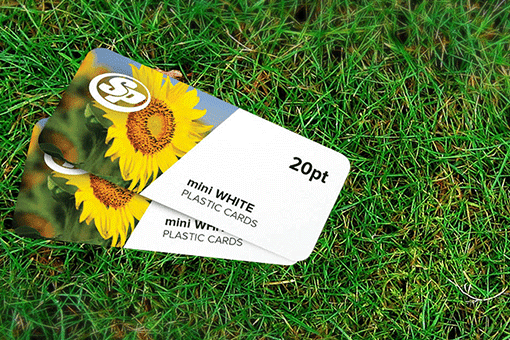 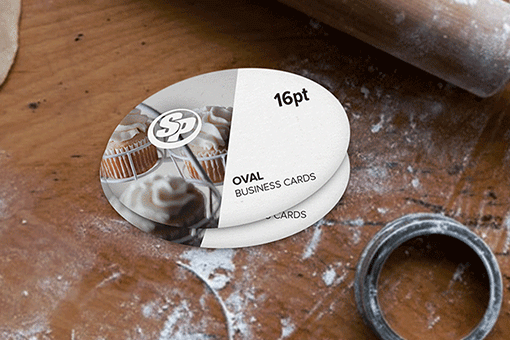 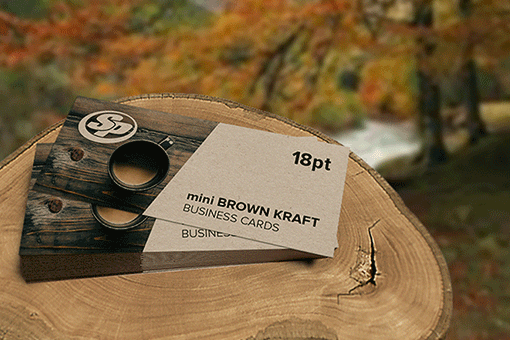 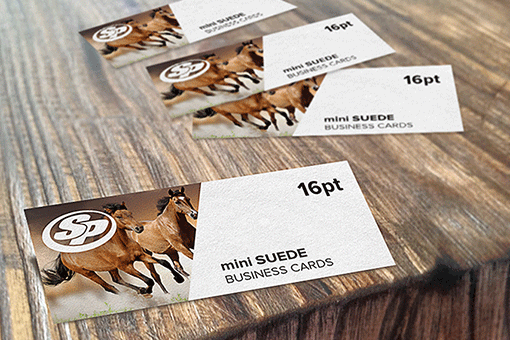 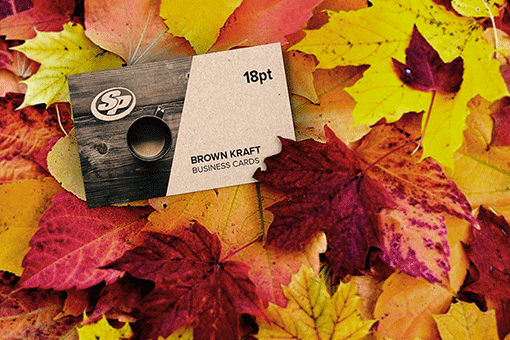 Mini suede business cards are ideal to showcase the opulence of your company or brand. 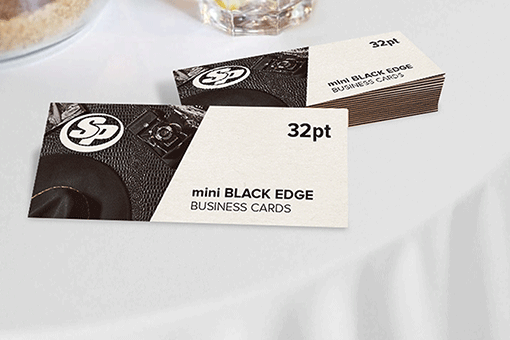 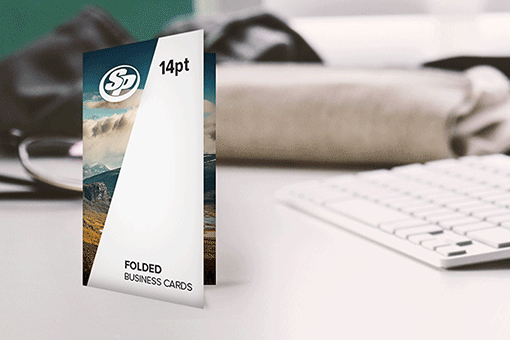 At Stigler printing, we deliver a thick and firm mini suede business card stock that makes an elegant and luxurious statement to anyone who touches it. 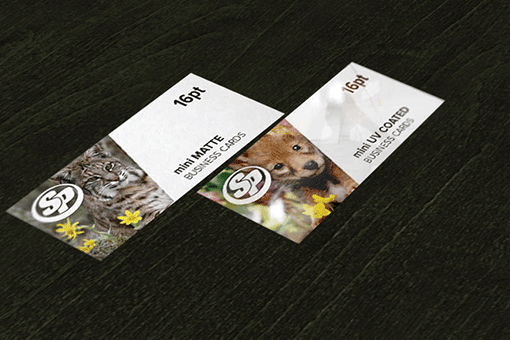 Offered with a range of pre-designed templates or custom designs on 16pt card stock, our hard suede cardstock can be produced for any color combination to distinctively suite your needs. 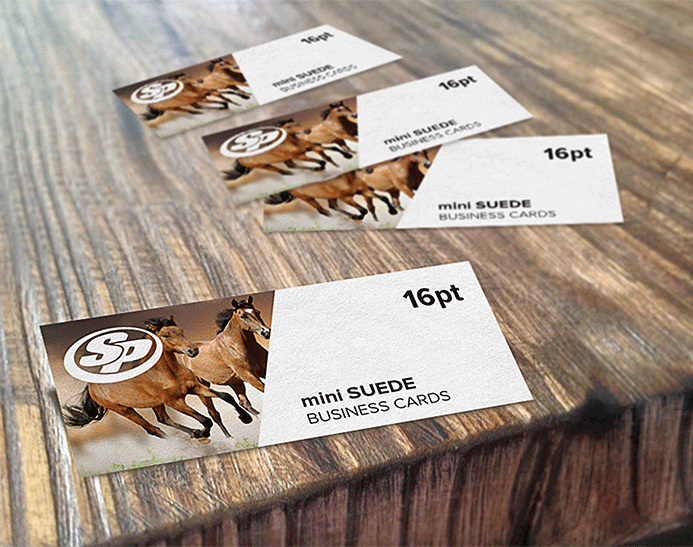 Start your mini suede business cards printing today with Stigler Printing and create a stunning impression with your friends and clients.